As 2017 comes to a close we would like to take the opportunity to wish you a VERY happy and peaceful holiday season from all of us here at Abode. If you have not got enough to do just before Christmas, we thought you might be interested in the information below. Something for Boxing Day afternoon, with a cuppa. Abode Srl continues its association with Savills and has invested substantially in a marketing campaign throughout 2017. We continue to market properties via the major UK portals (Rightmove, Primelocation and Zoopla) and our own multiple award winning website www.abodeitaly.com. We strive to keep our website the best in Italy and are presently investing in a new site (launching Feb 2018) to continue our dominance as the best property website for international purchasers. We actively collaborate with other agents who we believe have accreditation and the professionalism to warrant collaboration. 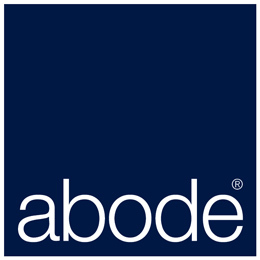 With over 50 years of experience in international real estate you can rest assured that The Abode Team and Abode as a recognised trademark will continue to strive to find purchasers from the four corners of the globe. We are, as ever, extremely excited about the opportunities and outlook in 2018. 2017, as you know, has proved challenging. The impact of both Brexit and earthquakes in 2016 has halted the market somewhat. Prices are down 30% from their 2008 peak and only the properties with realistic asking prices are generating enquiries, with the market under €600,000 being the most buoyant. Surprisingly we have had an increase in transactions compared to 2016. The most in-demand locations are those close to towns. Pricing is absolutely paramount to a successful sale, so we ask you, with that cuppa in hand, to consider what is the price you are willing to accept? We have sold properties this year by reducing asking prices to their current market value and these houses have sold quickly. There is no point sitting on the fence in 2018. If you want to sell you must offer value. Buyers are extremely risk adverse, seeking properties which require little or no work and which can provide not only the happiness in owning a property in Italy. but the confirmation that their decisions have been made with good judgement. Almost all of our buyers favour historic properties, and those renovated to a high standard are most in demand. Views are very important, as is access to a town/amenities (under 15 minute drive being deemed as tolerable and walking distance being the most sought after). Often the requirement is for little or no white road coupled with a need for privacy, no road noise and close to a village. So an almost impossible brief with respect to the average holiday home in Italy. Everybody who comes to Italy has a list. It is interesting that we find people’s ideas change on a property tour and what was originally the purchasing brief ends with a completely different purchase. We therefore are constantly changing direction and that is why you sometimes get calls at short notice. Sorry about that, we’re just doing our job. As an Italian property owner we are sure you once made a similar journey. Rental Income is now an important factor for most buyers and we have an increase in requests by buyers to see proven rental history figures even prior to viewing a property. It is also common for buyers to request annual running costs. In June 2017, the Italian Government introduced a 21% tax on the income from short-term holiday rentals. The tax is paid by the letting agency or web portal (previously, owners had to declare it and be taxed as part of their income)*. On average buyers are on our database for a minimum of 12 months and there is usually a time span of a minimum of 3 months from initial enquiry to viewing. Buyers are avidly searching the various portals, sometimes daily and therefore have a perception of the market. Europeans comprise the bulk of our buyers. We have had a notable increase in enquires from Belgians and those from the Nordics as well as from Dubai, Singapore and the U.S.A.
Making sure your property is in perfect viewing condition is key to finding a buyer. We know our business and want to help you find the next owner of your Italian home. Canny purchasers are out in January and February so just let us know if we can do anything for you after Christmas. We want to sell your Italian home. Remember there’s going to be a general election in Italy next year. Brexit will continue to disrupt the market. Prices are stabilising, but if you haven’t adjusted your asking price in the last 12 months it’s about time to do so. Here at Abode we believe finding the right house for the right buyer is key, regardless of what’s happening. Having the wrong price will not help. Interestingly we believe Italy’s new tax incentives for high net worth individuals will start to have an impact and stimulate the prime residential markets which in turn will affect the whole market. A new investor visa has also been introduced, requiring an investment of between €500,000 and €2 million in specified vehicles, held for at least two years. Successful applicants are entitled to a Schengen visa for themselves and family members. * We hope to see this having a positive impact on sales. We’re positive and upbeat. Happy Christmas. We would like to take this opportunity to remind you that on instructing Abode Srl to sell your property the responsibility is yours to ensure the property is marketable and has all necessary planning permits and is in full compliance with prevailing planning regulations. Due to a couple of sales falling through this year we have implemented our Property Health Check Up service, whereby, we will find out, on your behalf, whether your property has all the necessary documentation. There is a charge for this service however losing your buyer is far more painful. See below the information we require from you and which, on instructing us to sell a property, you must supply. Our T’S & C’s explains all and can be found on our website. Please don’t hesitate to contact us if you require any clarifications or wish to instruct us to investigate on your behalf. Please do also send us any outstanding material such as the energy certificate and floor plans if you have not already done so. (a) to be the exclusive owner of the Property. (b) to inform the Agent of the presence of any mortgages, liens and/or other burdens, including prejudicial transcriptions, that could impede the sale of the Property. (c) that the Property is marketable and has all necessary planning permits and is in full compliance with prevailing planning regulations. (d) that the Property is free from persons and things; or that it will be sold free from persons and things. i. a copy of the sales contract and any relative current maps and floor plans. ii. a technical report drawn up and signed by a qualified professional describing the Property and its land/building registry records, stating in detail the status from the planning and permission points of view and listing (where necessary) any neighbours having pre-emptive rights under law. In the absence of complete documentation and/or a qualified technician, the Owner, at their own cost, authorises the Agent to obtain documentation and/or to entrust a qualified professional with the above. iii. a copy of the energy performance certification as per law: either the ‘Attestato di Prestazione Energetica’ (APE) or the ‘Attestato di Certificazione Energetica’ (ACE), if issued prior to 06 June 2013. Should the Agent successfully mediate a sale of the Property which may not be concluded due to undisclosed/unexpected problems/situations regarding the Owner or the Property for sale, then the Agent’s fee will be payable in full. Any modification relative to the state of the Property, the asking price and any other variation on the initial agreements, must be communicated to the Agent within 15 days of said modification. From the team at Abode we send you our very best wishes for the holiday season and wish you all a happy new year.